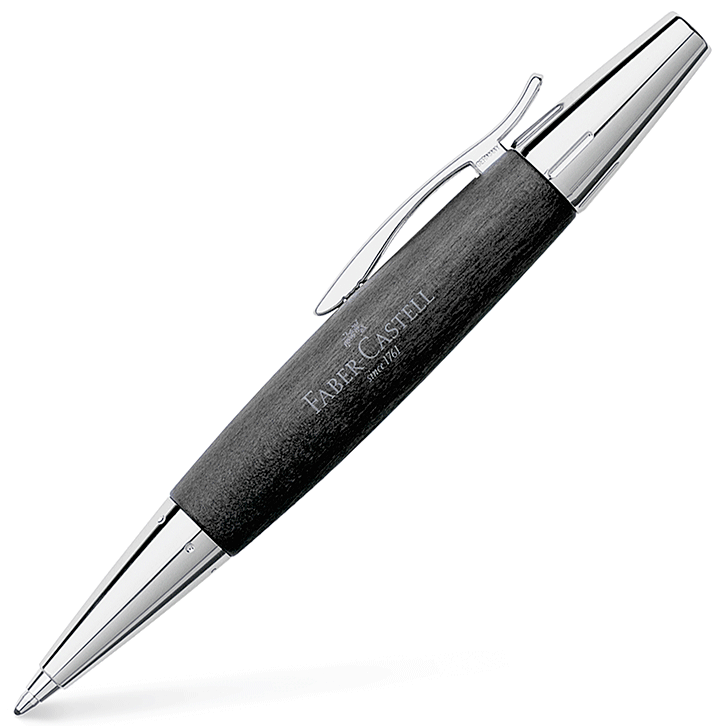 Black Ambition rollerball pen by Faber-Castell. This features a black barrel made of brushed ‘precious resin’ (a high quality synthetic material), which contrasts to good effect with the gleaming chrome-plated nose, end piece and lid. 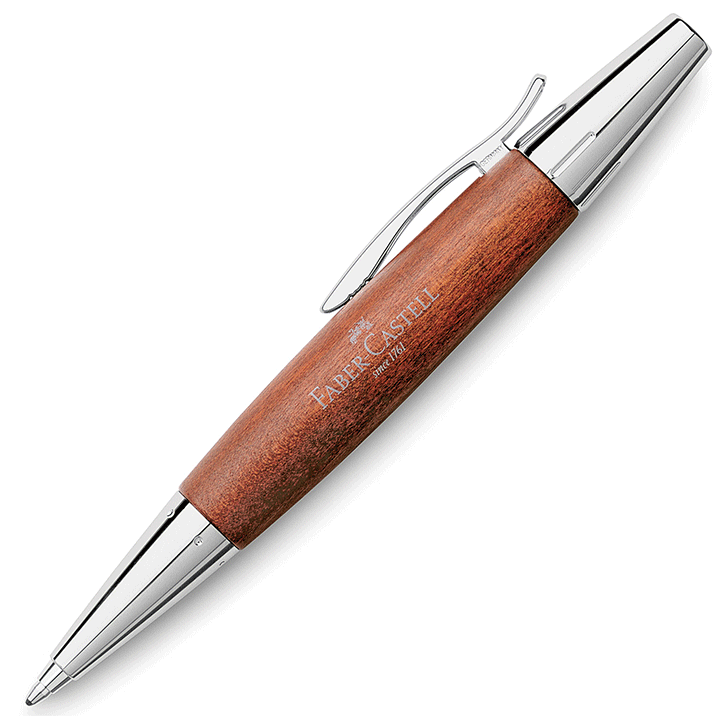 The instruments are all fitted with a solid metal spring clip to hold them safely in one’s pocket and are supplied with an attractive gift box by Faber-Castell. The instrument contains a black refill with free-flowing, quick-drying ink. 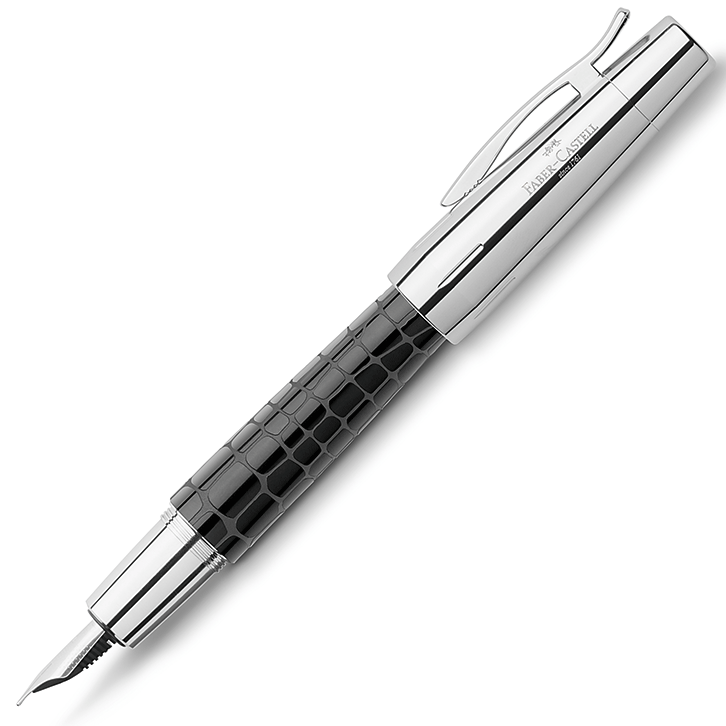 The gleaming chromed cap can be ‘posted’ on the top to extend the length of the pen or to alter the balance of the instrument when writing, if required. Black Ambition rollerball pen by Faber-Castell.One cannot fail to be impressed by their clear lines and carefully selected materials: the black barrel made of brushed ‘precious resin’ (a high quality synthetic material), which contrasts to good effect with the gleaming chrome-plated nose, end piece and lid. The instruments are all fitted with a solid metal spring clip to hold them safely in one’s pocket. 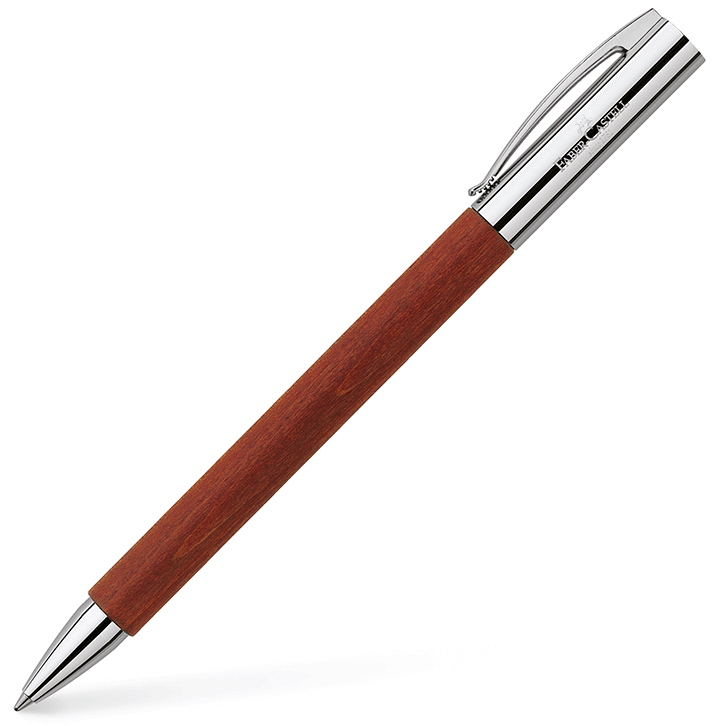 The rollerball’s cap can be placed on the other end while writing and this is useful to extend the length of the pen or to alter the balance when holding. 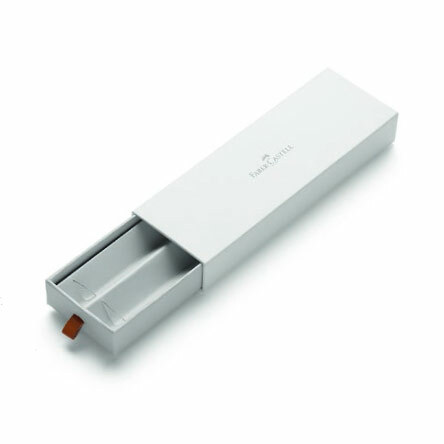 The instrument contains a black refill with free-flowing, quick-drying ink (spare metal-case rollerball refills are also available in black or blue). 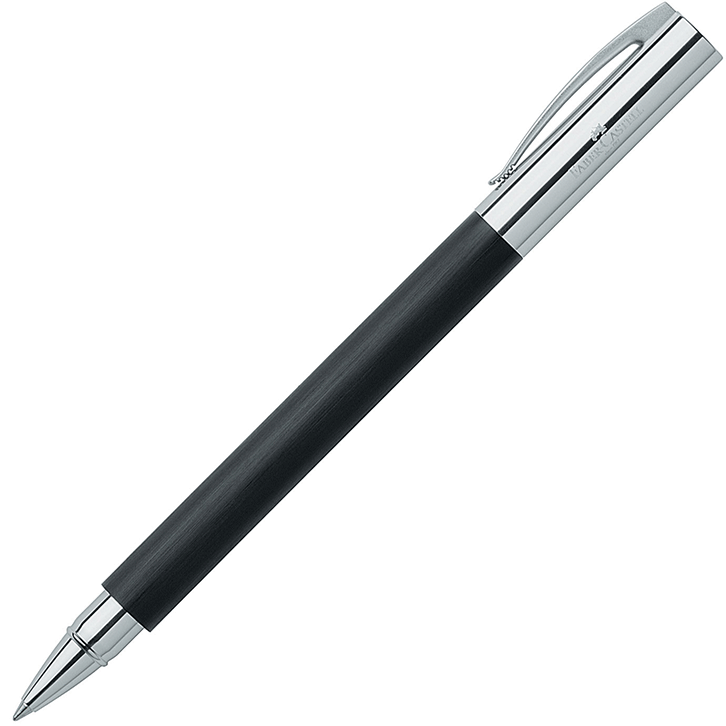 Length of pen without lid: 120mm. Length of pen with lid: 139mm. Length of pen with lid ‘posted’ on end: 155mm.